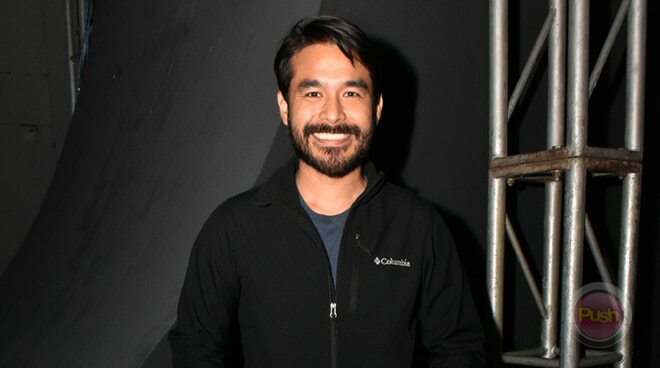 Atom Araullo reveals what are people’s biggest misconceptions about him. As the star of Citizen Jake, there’s been a much greater interest in TV journalist Atom Araullo this year and for good reason. Even though he already has a big fan base as a reporter, he seems to have picked up thousands more as he transitioned to the big screen. During a media event as the newest brand ambassador for Cherifer Premium, Atom talked exclusively to PUSH to share ten things you probably didn’t know about him yet. 1. He’s okay with not being super fit. 2. He doesn’t back down from challenges. 3. He has his “lutang” moments. 4. He also gets food cravings. Even though he is the youngest in his family, Atom said he was never spoiled growing up. “No, I wouldn’t say so. I was just makulit and full of energy.” (Atom has one older sister named Sandra who also graduated from the exact same course in college. They both graduated from Applied Physics in UP). 6. He is an animal lover. 7. He likes being dressed down. What is Atom’s favorite everyday ‘porma?’ The 35-year-old eligible bachelor admitted he prefers to always wear regular jeans, a t-shirt, and a pair of boots. 8. He doesn’t dream of becoming a movie star. 9. He admits that people always misunderstand him. 10. He is different when he’s with his barkada.